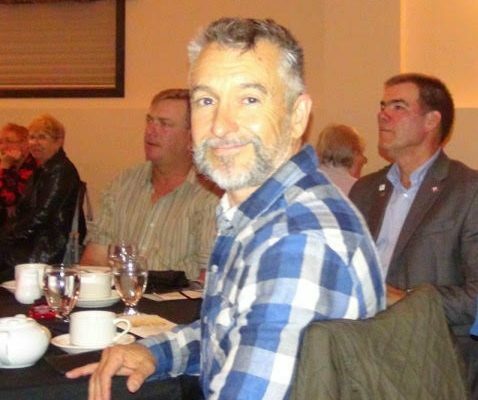 The new president of the Grey County Federation of Agriculture wants to better educate the public on the effects on farmers of the new U.S. Canada Mexico trade deal. The USMCA gives American dairy farmers greater access to the Canadian market — an increase of 3.6 per cent to 3.9 per cent. Federation President Hugh Simpson said, to the average person, that doesn’t sound like much. “It’s only 3.6 or 3.9 per cent how can that make a big difference. We need to help them understand how these farmers are running at a margin that doesn’t allow for a 3.6 or 3.9 per cent reduction,” said Simpson. He added it should be noted that trade deals with Europe and Pacific countries are also cutting into the bottom line for Canadian dairy farmers as well as poultry producers. Simpson is a honey producer in Grey Highlands and was acclaimed as the new president at the federation’s annual meeting in Walter’s Falls. He said one of his main missions as president is to educate more people about farming. “Part of the population doesn’t have an appreciation for what goes on on the farm, and that’s whether or not you’re talking about urban or those people that are moving into our area from the cities who don’t have a real good idea or understanding of what it takes to run a farm,” he said.